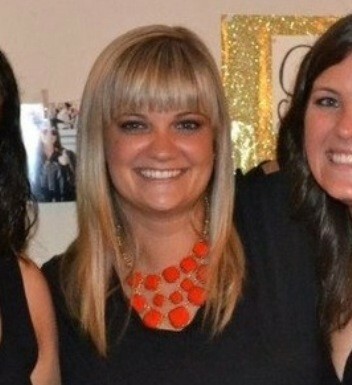 All the info you need for a fabulous trunk show! By now, we have a date on the calendar! Next, it's time to make a guest list. The more the merrier when making your list! Make sure you invite friends from all of your various social circles (think mommy group, church social circle, family, friends of friends, co-workers, whoever). Typically, 1/3 to 1/4 of your guest list will be able to attend. And, don't forget your out-of-town contacts! I will provide a shopping link to your trunk show so they can shop from their home. Once you have your guest list ready, forward it to me and I will create a stylish invite to send to your contacts and will keep track of the RSVPs and reminders. We'll touch base leading up to the show so that I can keep you up-to-date on who is coming. A few days before the show, we will see who hasn't responded and follow-up with them so you have an accurate count to ensure you will have enough drinks and/or snacks. I always suggest to keep the food and drinks simple! A few bottles of wine, cheese and crackers and maybe something for everyone's sweet tooth. But keep it inexpensive and hassle free. This is supposed to be easy for you! 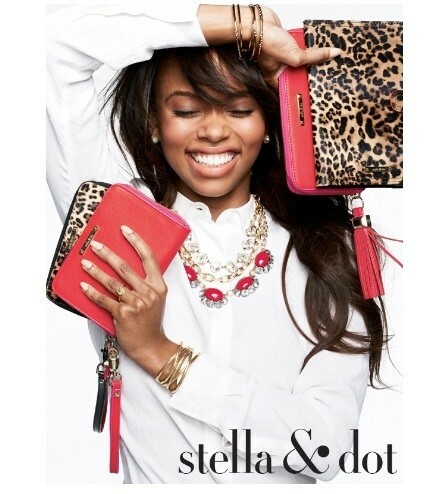 Our style rewards are one of the best perks of hosting a Stella & Dot trunk show! 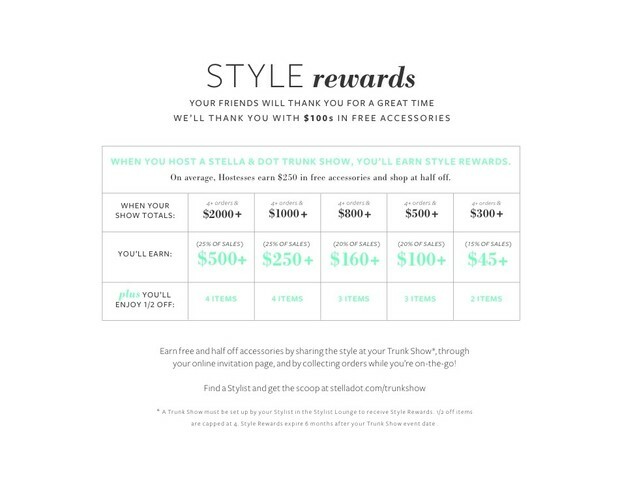 Below is a breakdown of how much you can earn in free jewelry and half-off items based on your trunk show sales. Basically, the more people that come and shop, the more free stuff for you. I want to help you get everything on your wish list so, take a look and let me know if you have any questions about our rewards.